I met with Saxs Persson, developer for the Pocket and Windows 10 editions of Minecraft, and Matt Booty, head of Minecraft, in nearby Marriott hotel. Persson was dressed casually, in a black shirt and jeans. He came off as enthusiastic, prone to geeking out about new tech or features. Booty on the other hand was dressed in a button-down, slacks and came off as more reserved. 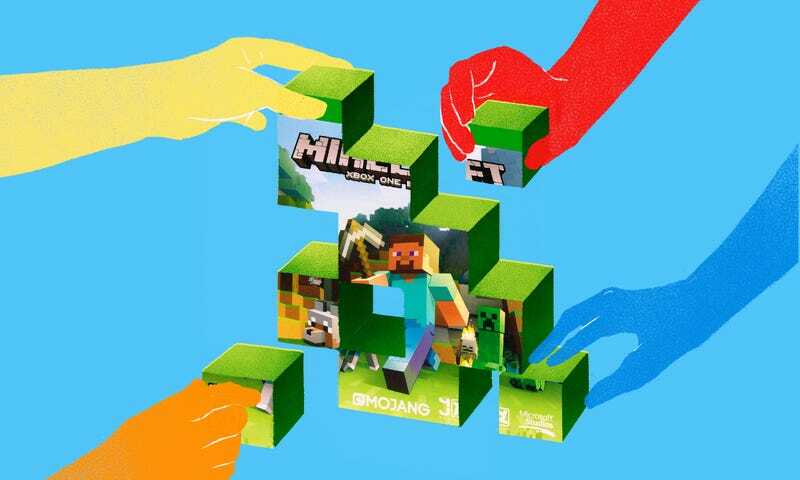 They couldn’t have chosen a better pair to represent Minecraft. “Add-ons are just the first step,” Persson said, confirming that an application program interface, or API, was being co-developed – a feature that would make modding significantly easier. Persson admitted that two previous attempts at creating an API had failed, and that they had brought on the creators of Bukkit–a popular mod utility–to help them make this attempt stick. This may represent a serious commitment to developing an API, but those promises go back as far as 2009. The community remains skeptical after being burned so many times before.